Party Decor specializes in bringing style and grace to your tables with special event rental linens, chair covers and fabric decor looks ranging from fashion-forward to elegant and classic designs. Our linens have dressed the tables of the poshest parties and most elegant weddings and banquets in the area. We are a preferred source around event venues and wedding planners in Ohio and we ship our specialty products nationwide. After 12 years of working for Chanel and Christian Dior, Alina Saini, the founder of Party Decor, began traveling the world to bring you the latest and most unique fabrics to your table helping you create the most imaginable mood for your special day. 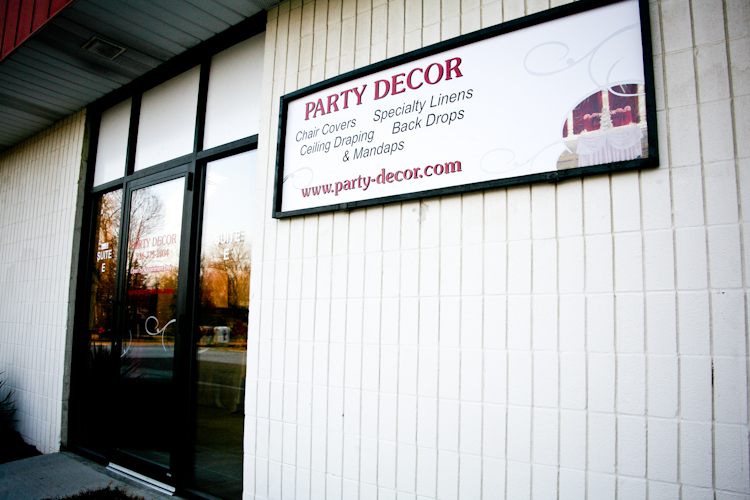 Let Party Decor help you create TRENDSETTING EVENTS! Visit our showroom and view our selections of beautiful fabrics and creative ideas to transform the simplest of rooms into unbelievable spaces! Our design team will work with you and make your dream wedding celebration a reality.